Manufacturer of a wide range of products which include delrin sheets. 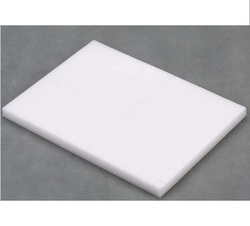 Polestar™ Delrin Sheets are mainly manufactured from Acetal Co-Polymers material. These sheets can be easily machined and have excellent dimensional stability for getting close tolerances. They also have the low coefficient of friction and good wear properties even in wet environments. Looking for Delrin Sheets ?